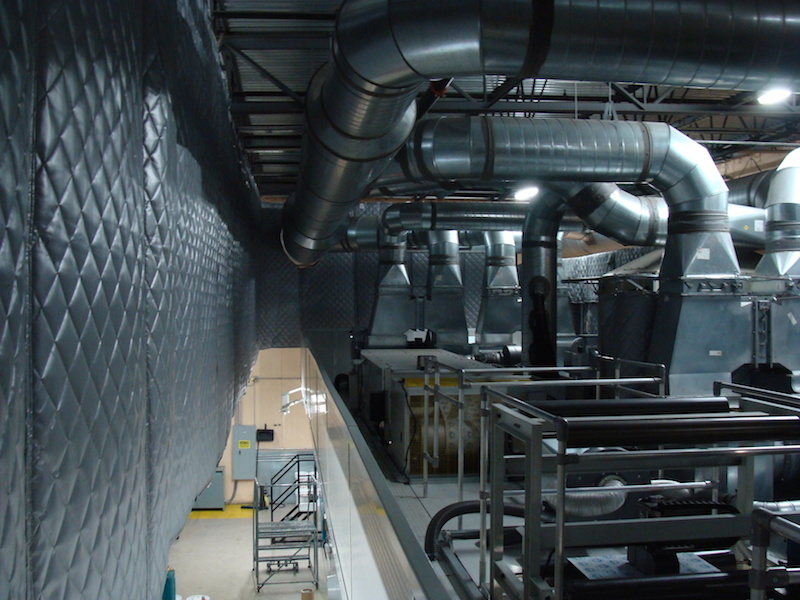 The versatility of our noise reduction blankets is just about unlimited. Below we note which blanket is used for particular sample and specialty applications. The size or location of the your application, or the level of unwanted noise is truly no match for our noise reduction blanket materials. 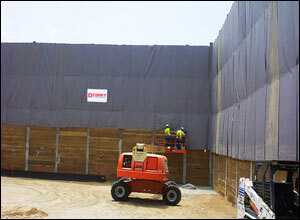 Our barriers are highly noise absorbent and designed to absorb unwanted sound reflection in a variety of applications. From HVAC units to large computers, office equipment or generators. 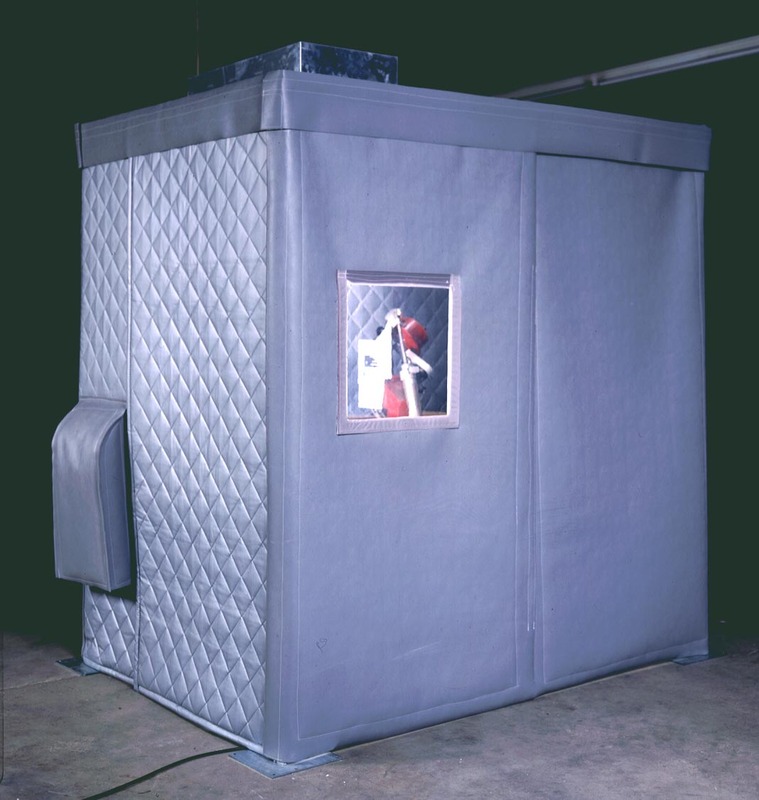 Pipes, electrical devices, generators or Vacuums, all can be enclosed and their noises isolated by custom enclosures which will quiet their surroundings and prevent other complicated noise issues from starting. Within the In-Plant market sites are constantly re-tooling machines, moving equipment, installing equipment. Worker safety and OSHA regulations are key. 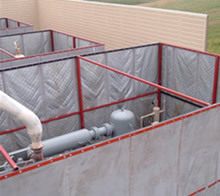 In-Plant facilities require flexible and durable materials for the huge variety of applications and noise control needs they come across day to day. Outdoor versions of our blankets are built for these conditions. Some of the largest construction and engineering companies order our AB1-110 and AB-220 Outdoor Blankets from us. Reinforced, coated and protected to deal with the high abuse and caustic environment of commercial large scale construction projects. Toxic fumes, wind, rain and unbelievably loud engines. Our outdoor versions of noise reduction blankets are built to withstand it all. Can be used in virtually any outdoor installation, for crowd noise, to block roads and highways noise, construction and outdoor venues to quiet noise from reaching neighborhoods. Industrial generator Noise Enclosure Read More. US Coast Guard uses Acoustic Door Panels. Read More.